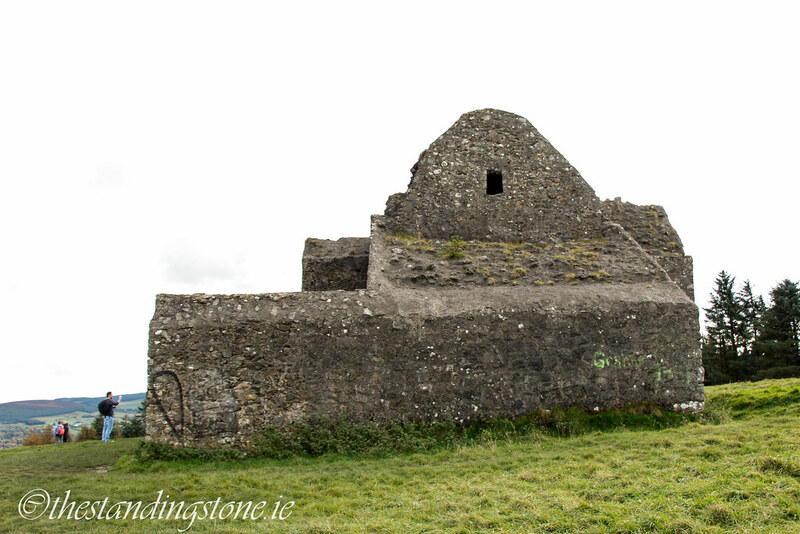 The Standing Stone: The Hellfire Club, Montepelier Hill, Co. Dublin. 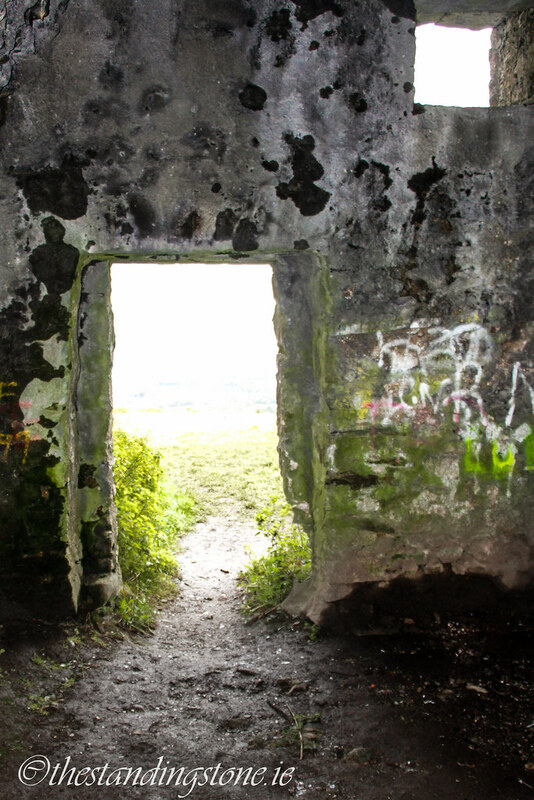 The Hellfire Club, Montepelier Hill, Co. Dublin. 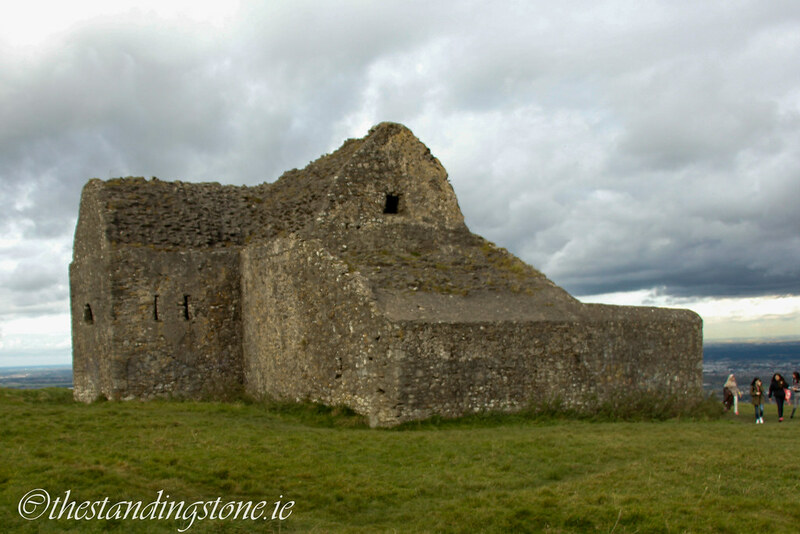 Location – Not far from Tallaght on the R115. 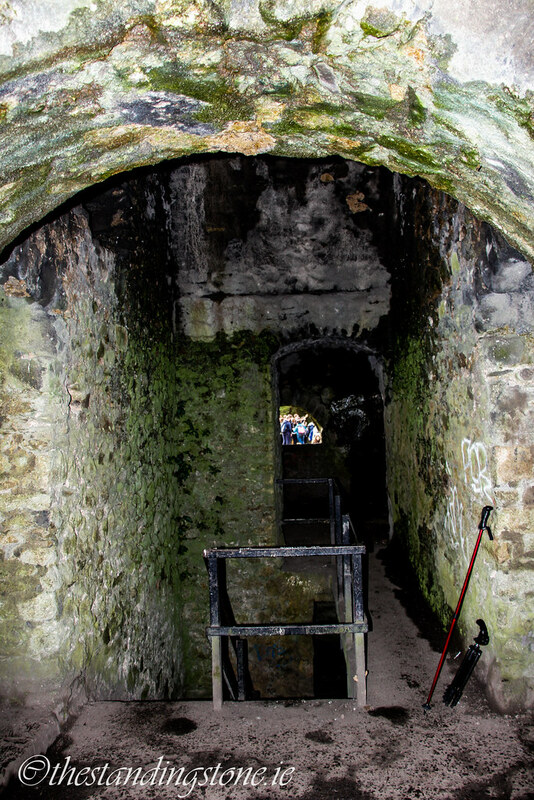 Description and History – This unusual building has long been on my list of places to visit as it has an interesting history and a certain infamy. 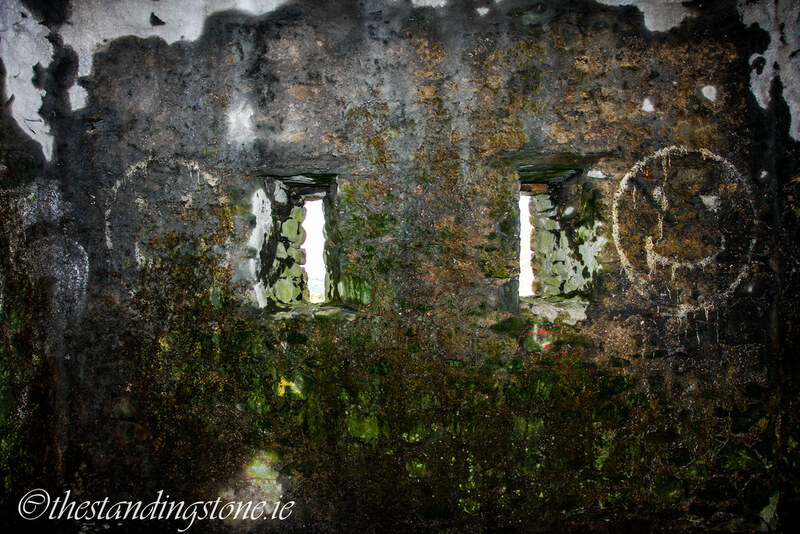 It’s one of Ireland’s most distinctive buildings and is constructed in the Palladian style which influenced Queen Anne and Georgian architecture in Ireland and Britain in the 18th century. 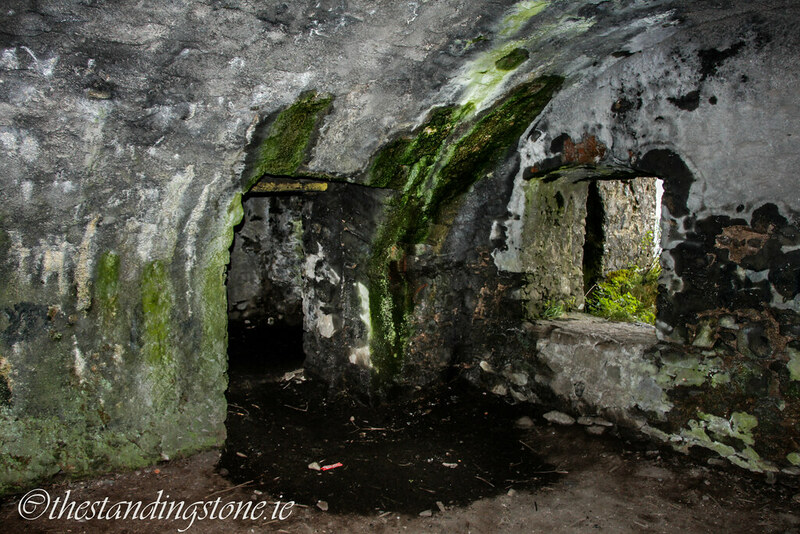 The Hellfire Club was constructed at the beginning of the Georgian period during the later reign of George I around 1725. It was built by William Conolly, the Speaker of the Irish House of Commons. 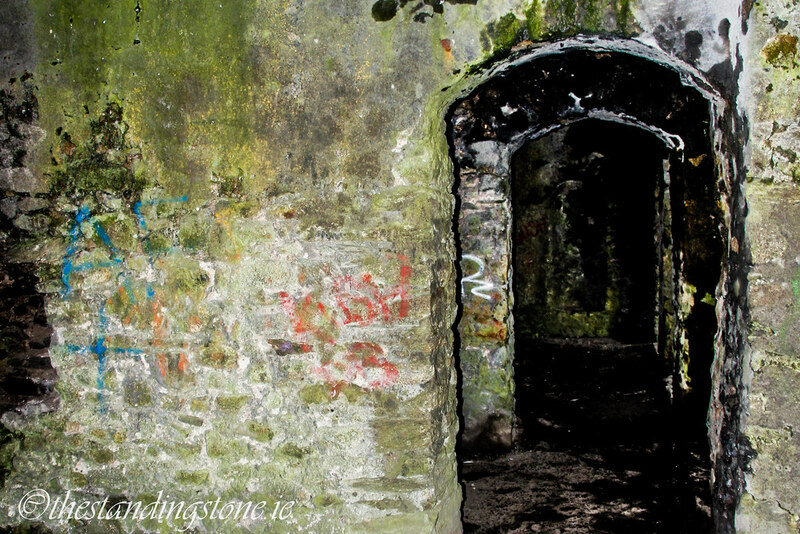 Conolly had purchased the hill in 1719 from Philip, the Duke of Wharton who founded the first official Hellfire Club in London the year previously. 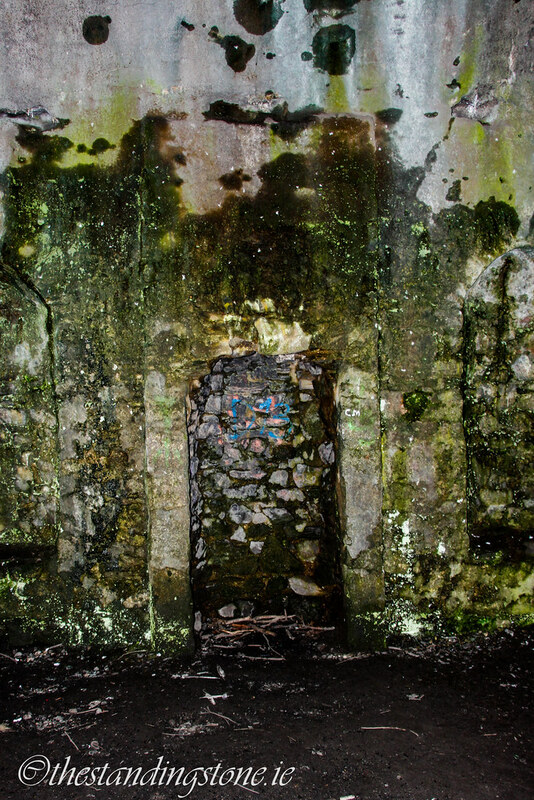 This appears, however, to be purely coincidence as Conolly had intended for the building to be hunting lodge as it sits within a 1000 acre deer park. Yet, only four years after its construction he passed away and it appears as if the building was barely used during this time. 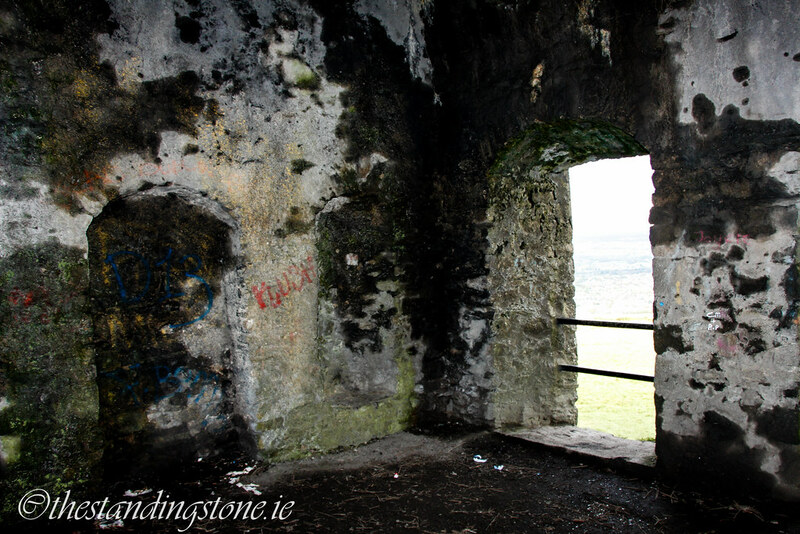 Before the Hellfire club was even associated with the building folklore began to spring up around it. Shortly after its initial construction the original slate roof blew off during a storm. 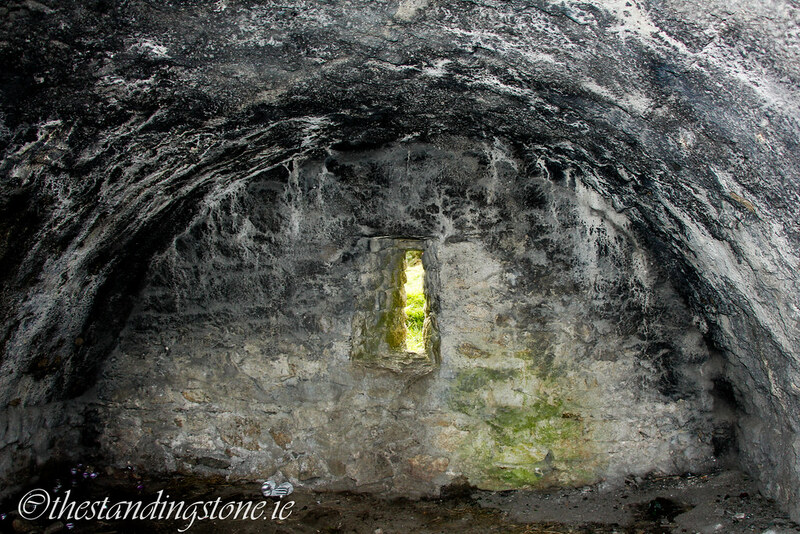 People in the locality said this was the work of the devil as punishment for using stone from two cairns behind the lodge as building material. 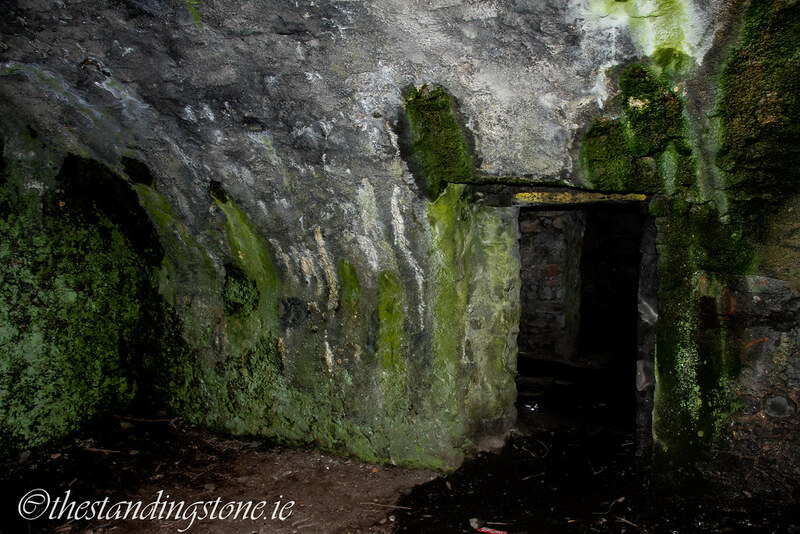 There are still some remains of these two tombs and these have been recently excavated. Conolly replaced this roof with a sturdier arched roof which is still intact. 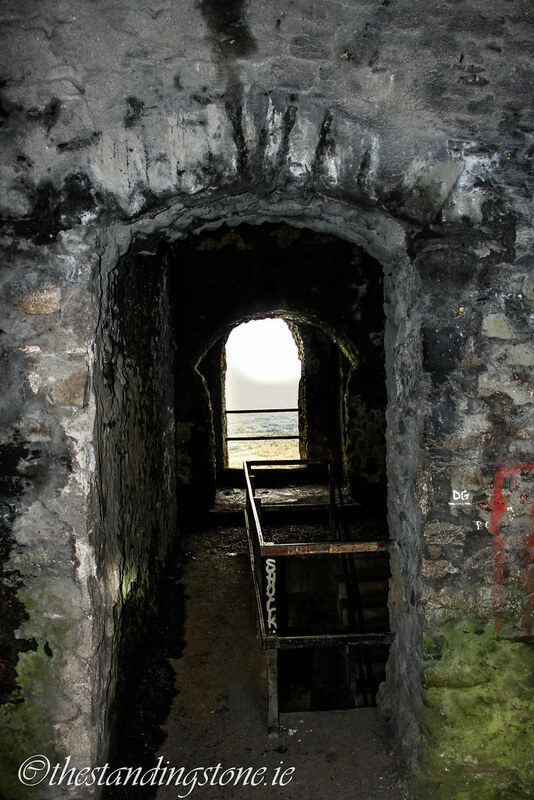 It was after Conolly’s death that the building became associated with the Hellfire Club, a gentleman’s club that allegedly engaged in less than savoury activities (for a more detailed history of the Hellfire Club, click here), but evidence that they occupied the building is scant and it seems to have remained a ruin. Nevertheless, many stories have grown up around the building. 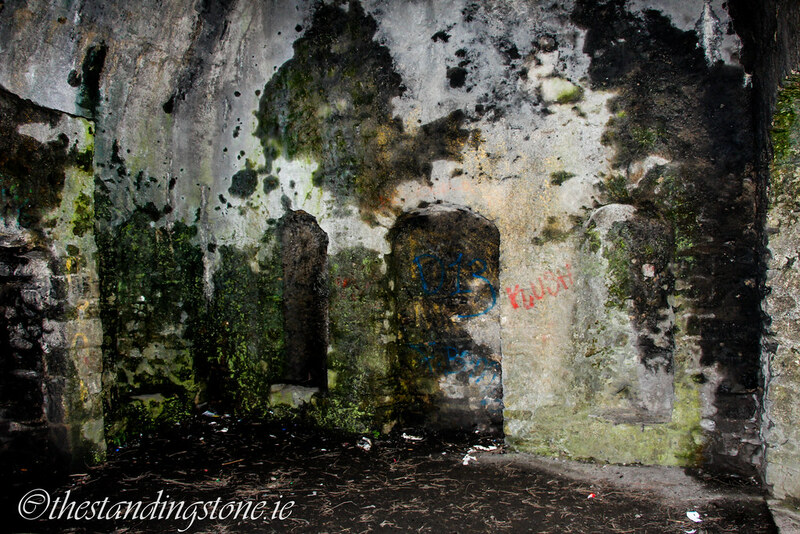 One story tells of a stormy night when the members of the Hellfire Club were playing cards. A stranger, seeking refuge from the story was admitted and joined the game. Later into the evening one of the players dropped his cards on the floor and saw that the stranger had cloven hooves for feet. The stranger then disappeared in a ball of fire and is said to have been the devil. 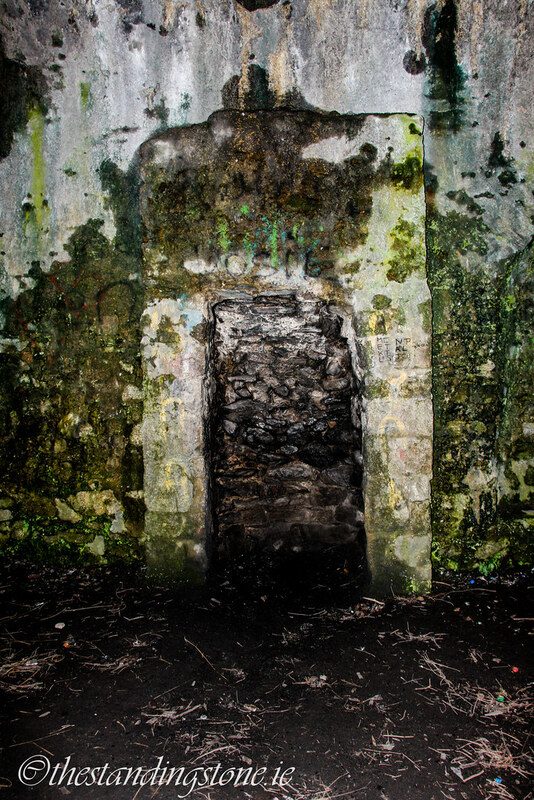 There are various other outlandish stories involving devil worship, sexual debauchery, and even cannibalism. 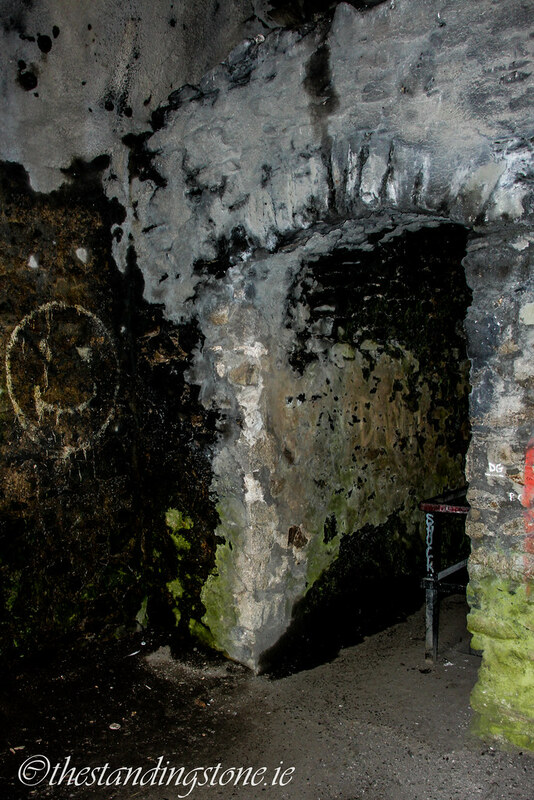 The building is still said to be haunted. 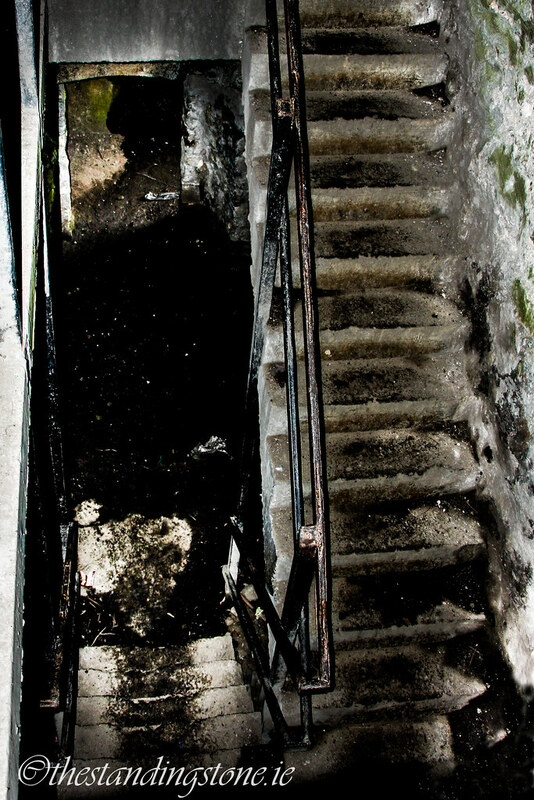 My scepticism about haunted buildings will be known to anyone who reads this blog and I saw nothing untoward beyond graffiti and copious amounts of litter. 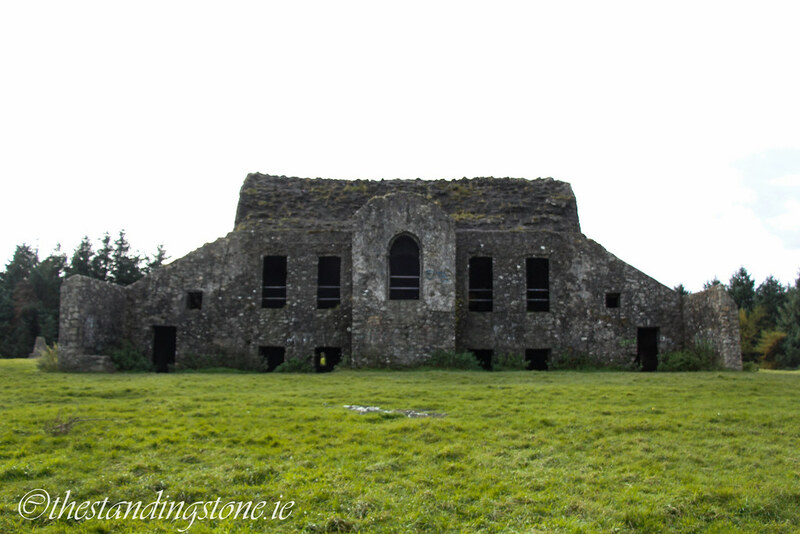 The only ghouls that haunt the Hellfire Club today are people that don’t respect Ireland’s built heritage. 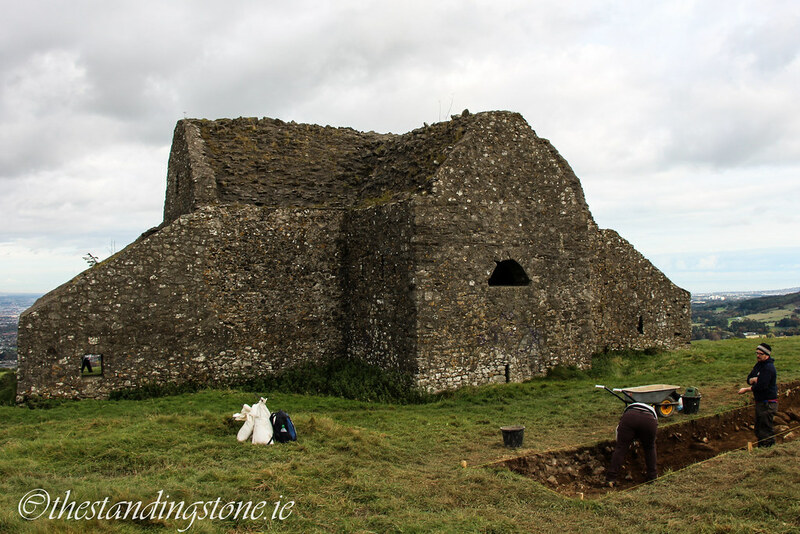 I was fortunate to visit while the excavations were being led by Neil Jackman of the Neolithic passage tombs behind the lodge. Fortunately, on the day I was there, the place was full of well-behaved visitors who came to see the excavations and this amazing and fascinating building. Difficulty – It’s quite a trek up, but there is ample parking and there is a good track leading the way. However, I did get lost and ended up taking the longest possible way to the top – good exercise at least! 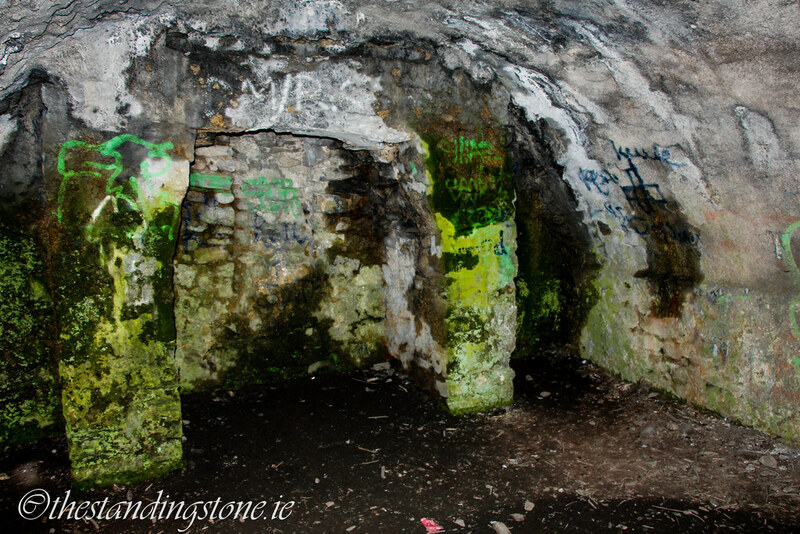 More sites in Co. Dublin, click here. The view of the front of the lodge. 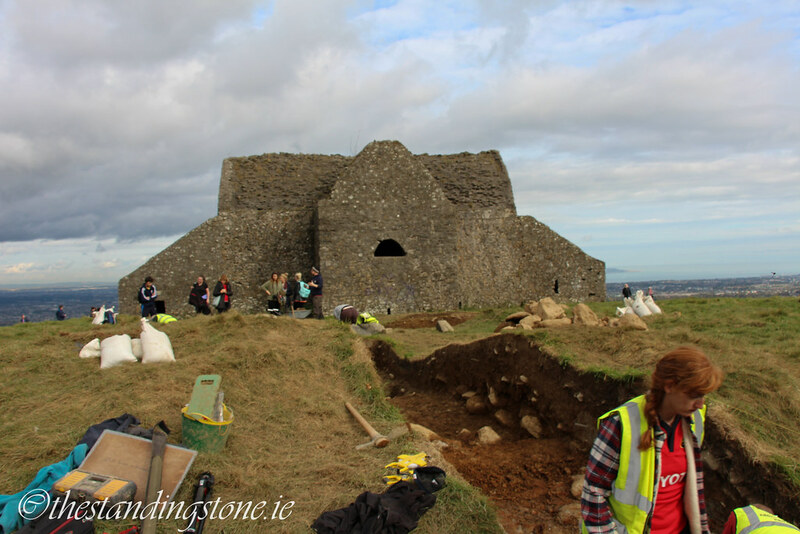 View from the rear with the excavations (October, 2016) in the foreground. 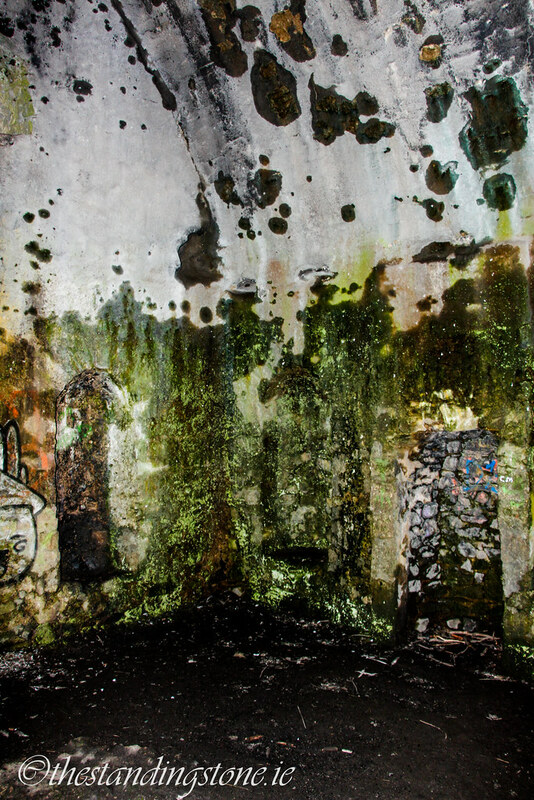 The interior is damp, mouldy and covered with graffiti. It is in dire need of some conservation work. One of the many fire places in the building. 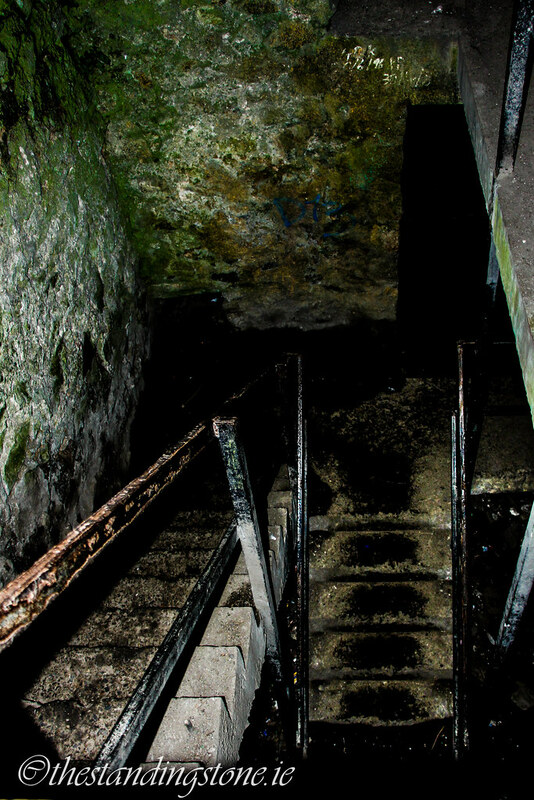 Looking down the stairs. 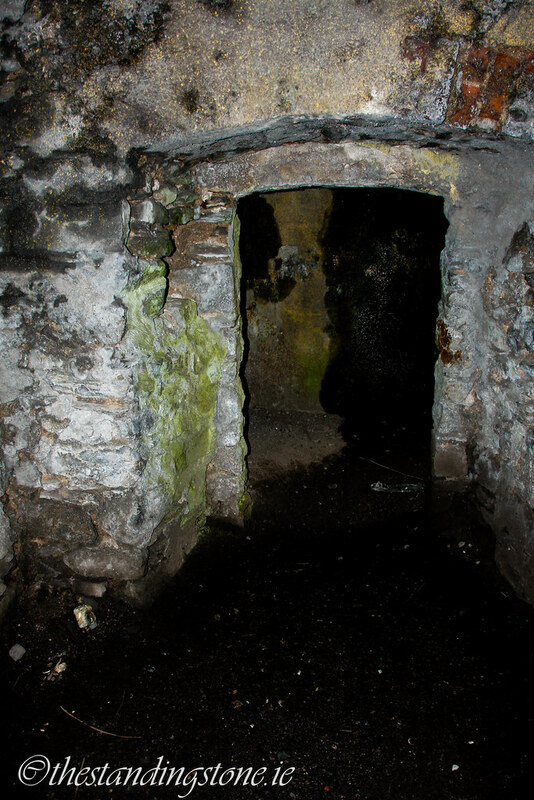 I may be a sceptic, but there's no denying that this place is spooky. 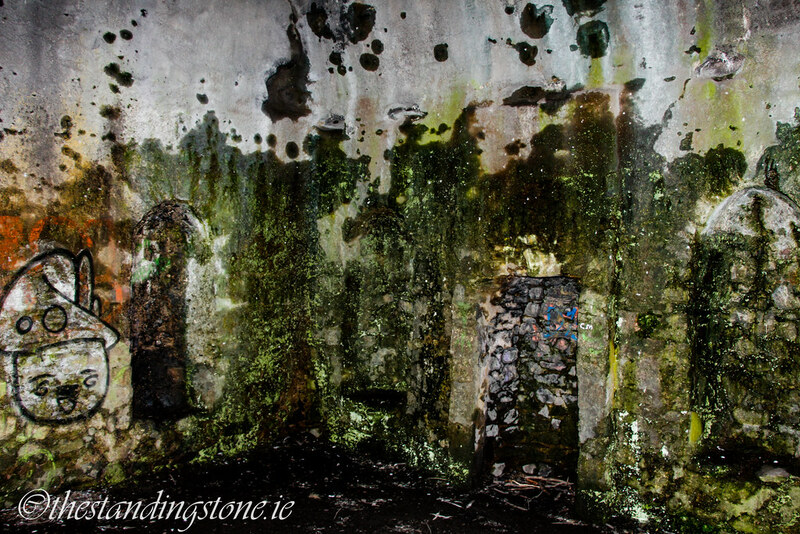 Through the original plasterwork bare stone can be seen, giving way to green moss in places.